Nitric Oxide (NO) is a powerful performance enhancing compound. It works by expanding (or vasodilating) the linings of blood vessels, effectively opening them up to carry higher blood volumes to and from working muscles. This means more oxygen, metabolites and fuel can be delivered faster to increase energy, work output and staying power. You will lift more weight with more intensity in each workout to force new growth. Citrulline Malate 2:1 780mg – an amino acid compound formed when citrulline is bound to malic acid. Citrulline Malate increases blood arginine and in turn Nitric Oxide levels. This can lead to increases blood flow, strength and endurance. L-Arginine Alpha-ketoglutarate 520mg – a salt made up of the amino acid arginine and alpha-ketoglutarate. It has a number of functions including, increased nitric oxide production for greater muscle pump, boosting energy production through its role in the Krebs cycle and removal of lactic acid and waste. Nitrosigine (Inositol-Stabalized Arginine Silicate) 500mg – a patented form of arginine bound to silicate. 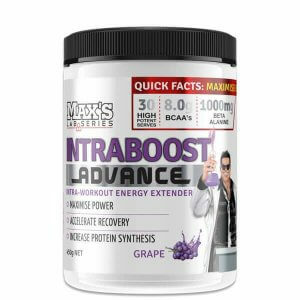 It has been designed to poses increased stability over arginine as a single amino acid and assistes with boosting nitric oxide and blood flow during training. GPLC (Glycine Propionyl L-Carnitine) 35mg – contains a glycine component and compared with other forms of carnitine has a higher level of potency. It is known to improve exercise performance by increasing intensity and time spent at high intensity. Agmatine Sulphate 35mg – a compound normally produced by the human body in a process where L-arginine is converted to Agmatine. 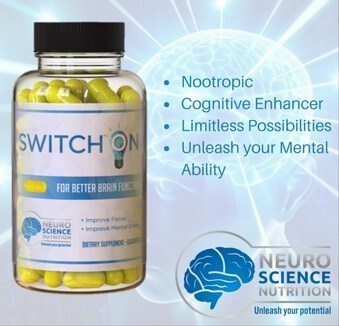 Its benefits in bodybuilding are as a strong neurotransmitter helping improving the mind-muscle connection and decrease pain perception. It also supports the release of luteinizing hormone responsible for stimulating leygig cells to produce testosterone in males. Betaine Anhydrous (Trimethylglycine) 10mg – an amino acid that naturally occurs in the body, but can also be found in a number of foods. Betaine has a number of functions, however is best known in the fitness industry for its role in creatine synthesis and nitric oxide regulation. Beta Alanine 520mg – a non-essential amino acid known to increase carnosine levels in both type 1 and type 2 muscle fibres> The result of this being an increase in the duration you can perform at high workout intensities. Caffeine Anhydrous 200mg – has a high caffeine concentration per milligram with high stability and good solubility. In addition to providing energy and alertness, it has been shown to directly potentiate skeletal muscle work, force and power. Vitamin C (Ascorbic Acid) 30mg – works as an antioxidant to fight off the free radicals produced by intense training. It also plays a role in supporting protein synthesis and testosterone levels. Potassium (Potassium Citrate) 26mg – found inside cells and forming half of the electrical pump that keeps electrolytes in balance, potassium allows conductivity between cells and is largely important for regulating heartbeat and muscle function. Sodium (Sodium Citrate) 12mg – the other half of the electrical pump, sodium is found outside cells and is responsible for controlling the total amount of water in the body. In doing so it helps regulate blood volume and maintains muscle and nerve function. Magnesium (Magnesium Citrate) 8mg – is important in maintaining normal nerve and muscle function, boosting the immune system as well as stable heart rate and blood sugar levels. Take 1 serving (4 Capsules) 30-60 minutes before training with water. Nitric Oxide Volumizing ComplexCitrulline Malate 2:1 780mg, L-Arginine Alphaketglutarate 520mg, Nitrosigine (Inositol-Stabilized Arginine Silicate) 500mg, GPLC (Glycine Propionyl L-Carnitine) 35mg, Agmatine Sulphate 35mg, Betaine Anhydrous (Trimethylglycine) 10mg. Lactic Buffering/Endurance ComplexBeta Alanine 520mg, Caffeine Anhydrous 200mg. Electrolyte Balance ComplexVitamin C (Ascorbic Acid) 30mg, Potassium (Potassium Citrate) 26mg, Sodium (Sodium Citrate) 12mg, Calcium (Calcium Citrate) 10mg, Magnesium (Magnesium Citrate) 8mg. Other IngredientsMagnesium Stearate, Rice Flour, Di-Calcium Phosphate, Gelatin. Q. What Is Nitric Oxide?Nitric Oxide is a signaling molecule formed from nitrogen (N) and oxygen (O) and often just called NO. Nitric oxide plays a major role in vascular relaxation (blood pressure regulation) immune response, inflammation, anti-thrombotic activity, erectile function and memory formation.